Sometimes you just have to follow the lead of cats in life. Find a warm place in the sunshine and just rest. This is our two beautiful and loving cats. The orange cat is Corey and the calico cat is Topanga. Both are rescue kittens and so full of love! They are spoiled too! Sometimes though, they just seem to know when a nice afternoon nap is in order. I love watching how they just drop out of the world into a very relaxed state of sleep. This room is one of their favorite places especially when the weather turns chilly. The afternoon sun comes in here and the bed is positioned just right to give them great access to the sun. May we all learn a lesson from cats and stop to enjoy life each day, taking a rest when we need it and basking in the sunshine of warmth. I send out love to the frustrating parts of my life that I experience, including the periods of anger, moments of hopelessness and despair. I send out love to the energy that I need, the love and acceptance I desire so that it engulfs my life. Take away the fog and replace it with the love of knowing and understanding. I send out love to all those who struggle and identify with the words I write. It would be easy to tell those in despair that all will be okay. Unfortunately, despair is not often able to hear and so I send out love to each person. Recently we took a trip into the Blue Ridge Parkway in North Carolina. The leaves had just begun to change and so the beauty was out of this world. It was some cool and crisp days full of sunlight which made it extra special. There was so much to see and do that we ran out of time. The mountains are much like the ocean to me in that the hours pass quickly. I get so mesmerized by the scenery, the sounds and everything I am surrounded by, that I lose all track of time. I would have loved to stay up there much longer than we did, but we just ran out of time. If you ever go up there, make sure you check out the swinging bridge on Grandfather Mountain and the Linnville Falls area. Two places that are sure to take your breath away! If you click on the individual pictures, they should open up into a much larger view. Recently we took a trip into the Mountains around Charlottesville, VA and the Blue Ridge Parkway in North Carolina. Walton's Mountain is a favorite place of mine because I consider the Walton's to be my "fictional" family but in many ways, they are more of a family to me than my own biological family. I have been here before but just getting to see this again was a treat. On the way to the museum, we came through the back country roads and basically got ourself lost. I calcualted that we went about 50 miles out of our way. While it was beginning to get a little "hairy" on these back winding mountain roads, it was some beautiful scenery that we would not have otherwise gotten to see. Walton's Mountain is based upon the Hamner Family who lived in Schuyler, Virginia. Here are just a few pictures that I took in the museum. If you are ever in that area, it is a great place to go especially if you are a fan of the show. In chapter 3 of "Into The Light" by Dr. John Lerma, a story of Leon is shared. Leon is a fundamentalist Baptist minister who shares just how judgmental he was. While he was preaching (before he came upon his final days in hospice care), he thought people like Joel Osteen were wrong to be preaching all this feel good, positivity. He was a hell fire and brimstone type of preacher and thought any other way was of the devil. In the days and weeks leading up to his death, the life review he went through opened this minister's eyes to things that went against his own belief system. During his time of preaching, he felt that near death experiences (NDE) were nothing more than hallucinations by satan or the enemy as he called it. He didn't believe that people could really see angels and once again thought they were being fooled by Satan. Even when the first angel appeared to him, he thought it was Satan tempting him. However, as more angels appeared and further things happened, he came to understand that so much of his belief system was wrong. All this because he had been indoctrinated by his family into a manipulated belief system. If we go through our life treating our mind and body as if they are two separate entities, we will be placing limits upon our self. For the mind is part of the body and the body is part of the mind. The two are joined as one. However, in our life we often treat them as two things. We push our body beyond its limits and we fail to stop and sense all that is going on around us. Additionally we often focus on our mind without taking time to honor our body. In order to find balance and success in our life, we must listen to what our mind tells us, observe what is going on in our body and then act accordingly upon this information. When we fail to do this, we throw our body system off balance and pay the consequences at some future point. 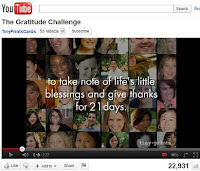 In a blog post on October 23, 2011, I posted about the Gratitude Challenge. 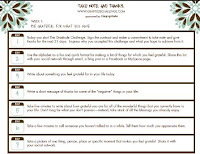 Since then, I decided to take the challenge and this is is a journal entry of my first week, day by day. Week 2 and Week 3 will be posted as they are completed. 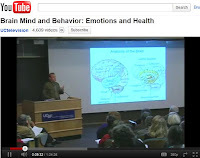 There is an excellent video of a lecture given by Dr. Jason Satterfield at the University of California, San Francisco. This lecture is a little over an hour long but is filled with very good information on the interaction of the brain and mind when it comes to our emotions and health. I have outlined a few points from the video that I found very helpful to me. However, I urge you to view the video for the full information. These are just some highlights from the notes I took. Please refer to the video for the full context of the following notes. Brains homeland security system. It is there to detect threats, help you face dangers and it can be functional or dysfunctional.  I just ran across an amazing website regarding gratitude. In the past, you've probably read my blog posts about gratitude including the gratitude jar. When life gets tough, we often look for things that help us find our way through. However, gratitude is something we should live in every day. Back in the days when I became paralyzed, I learned to be grateful for the small things like sitting up in bed, talking, or going outside and listening to the birds and feeling the warmth of the sunshine. All too often, we get so busy that we miss the little moments in life that are all around us. Before long, life has become mundane, dreary and something that we dread each morning. Gratitude isn't about waiting for the grandiose moments that come along but learning to be grateful for the things we experience every moment of every day of our life. They are around us more than we often realize and just by learning to notice them, we can not only change our life, but the entire world. A blog post on April 16, 2011 has been getting a great deal of attention for reasons which I do not understand. It had sat dormant for months and then in the past couple of weeks, there is great interest. The title of the blog post was "Dalai Lama What Surprised Him Most About Humanity". While I do not know if he actually spoke these words, it was something that I either read or saw in a circulated email that was sent to me. To be honest, I'm not sure how I came across this quote. What the quote said was something that I thought showed a lot of wisdom and insight. Of course, if the Dalai Lama is not the rightful owner of these words, then I would gladly give credit to the true source as long as it could be proven. Still, with all this aside, the quote says so much if you really read it. The problem that I have seen though is in the comments left on that post. To me, the Dalai Lama stands for peace, understanding, respect and working together as one. Yet, the comments that have been posted on this show anything but what he stands for, in my opinion. It is hard to imagine how the people making the statements that they make, truly are following the ideals of the Dalai Lama. Maybe they are searching and still wandering in the desert but it saddens me to read some of what has been said. On the History channel the other day I watched a show called Apocalypse Island. While I cannot prove a thing in the show, there was a great deal of information presented with the movie's conclusions. No one knows if anything will happen on December 21, 2012 or if this is much like Howard Camping's predictions about the end of the world on October 21, 2011. I realize that there are many authors, writers, historians and people following this story. What will be the ultimate truth, is anyone's guess at this moment. While I have personally picked up on events throughout my life, years before I had any concept of the places or circumstances, I do know that determining a date is next to impossible. Often if we could predict a date, so many things could be avoided in this world. I wonder though, if date predictions are what the universe is all about? In the movie, Explorers visit a remote island in the Pacific Ocean where Mayan relics exist. According to various facts and artifacts, the Mayans predicted the end of the world on 12-21-12, the end of a 5000 year calendar. According to the movie, it was as if the 5000 year calendar was more of a countdown event towards the end of our world. While I support people who get involved and speak out to let their voices be heard, I question the effectiveness of recent movements. It is my hope that the voices ringing out will be heard and will make a difference. However, for now, I choose to look inward for answers, not outward in blame of finger pointing. My fear is that we are becoming a country of people shouting at one another and absolutely no one is listening to anyone. If we continue shouting, than will we ever hear one another. It is a sad state of affairs not only for our country but throughout the world. Those in power do not listen to those they represent and those who put them in power, fail to carry through with their convictions when in a voting booth. We are in a very difficult place in this world because while we decry the greed of those who control our economy, our economy is created by us. We each have a role to play in this because we are so driven to buy enjoyment in life and follow our possessions, thinking that if we don't have either of these, we are less than human. If you compare and contrast what we have to what many other poor nations have, we are all wealthy. Unfortunately, as simple as I make this sound, it is anything but simple. Emotions are body based physical processes that have evolved with the evolution of our body. They originate from the center of our brain in what is called the limbic system. Emotions communicate our self to the world through relationships we have with others and the things around us. Sometimes emotions are adaptive and helpful while other times they can be misguided. According to Paul Ekman, a psychologist who studied emotions and facial experessions, concluded there are 6 primary emotions from which all other emotions originate. These are as follows. Happiness - a state of the mind of well being having positive emotions. Surprise - something felt that is unexpected for a very short duration. Sadness - emotional pain from loss, hopelessness, despair, rage and sorry. Anger - a powerful emotion from being wronged, hurt, offended or denied. Disgust - emotion for something that is considered to be offensive. So, do you think that what you know to be true is actually true in your life? Have you found the truth as it applies to your life and you see it applying to the world? Do you think you know what is right, wrong and the best for everyone involved? If you do, you might just be a self delusional person! Most of us go through life holding on to religious or medical or societal information as THE truth in life. We think that because we have gone to church and "felt like" we have had an experience that we know what is best of everyone else. Yet, we go through life making up rules that we force upon others and give framework to our life. The rules of course change from person to person, religious place to religous place or at any time we feel the rules aren't working! Often many go as far as to live by one set of rules and profess another set of rules that the world should follow. In the end, we are just self dilusional people thinking that we have THE truth in life. 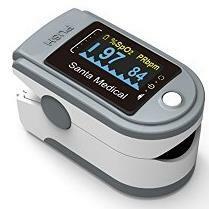 Is it possible for a dream to lower your high resting pulse rate? Sure not, you would say! But maybe it is possible. Unfortunately though, you will need to click on the link to my article "A Dream Lowered My High Resting Pulse Rate" that can be found on StreetArticles.com. High pulse rates are a very serious concern that you should not take lightly. I'm not advocating that you rush to the doctor (or you don't) and take medication immediately. Of course, I'm not suggesting that my opinions and thoughts on pulse rate should be taken as medical advice. (that's a disclaimer). The thing that I am suggesting is that if you don't know what your pulse rate is at rest, than how do you know if it is high or low? Without that basic knowledge of one's body, we have no idea how healthy we are or how balanced our nervous system is at that moment. Yes, I know, the doctor checks it when you got to a visit but to me, it is far more important than an occasional reading. Facing my fears is never easy to do as I am sure others experience similar moments. While fears have been plenty in my life, I always keep trying to face them down! It is the only way I know to keep moving myself forward, even if my knees are shaking so badly that I can barely stand. Among my fears, one of the ones I struggle with is the fear of heights. I'm not going to tell you that this recent experience cured me but it went a long ways to helping me do something which I was not comfortable doing. I believe the little successes and experiences in life build up to the change we desire for our life. It isn't always about the rockets red glare and the fireworks going off that signify a change. Traveling to Grandfather Mountain in North Carolina, I knew they had a mile high swinging bridge. Finding out that this is not a free-swinging bridge made this task easier, the bridge was not stationary by any means. As we drove up the steep mountain side road, my anxiety level was already high. I could feel my fingers digging into the steering wheel and I tried hard to not look down. The road was rather steep with hair pinned curves. While traveling on a recent vacation to the mountains, we were stopped at one of the overlooks. The leaves were beginning to turn and the views were breath taking. For me, it was almost an overload of sensory input. There was so much to see and take in while feeling, sensing, and listening to all the sounds around us. Yet, while we were standing there taking in the view, one couple looked at us and exclaimed "there's nothing to see here". In disbelief, I stayed silent. My mind immediately began to wonder exactly why it was that they made this statement. Could they not see what I saw and heard and felt? Were they not able to view all that surrounded that place we were standing? Obviously, I don't know their story or how long they had been in the mountains by that point. For me though, I never get tired of seeing the mountains and the views around them. It is always breath taking moments of peacefulness and joy for me. The other day I had my book converted to the kindle format. After I uploaded it to Amazon, I realized that I had no way to view it. Since I do not own the Amazon Kindle, I began to search for ways to read ebooks. Fortunately there are some other ways to do this. 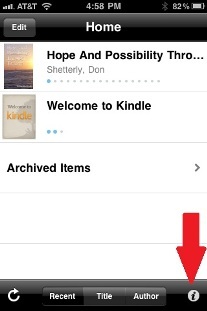 If you have an iphone, you can download the free Kindle App so you can read any ebooks you purchase on Amazon. This may work on an Android phone or other smart phones but since I have no way to verify that, I won't include it. Here's the steps to do that. Go into the app store on your iphones or through itunes (or click the following link to the Kindle App). Open the Kindle App and tap on the little i (for information) at the lower right corner of the screen. What if for one moment you did something different in your day than you normally would? How would that change your day? What if for one moment, you chose to think about something differently than you had ever done before? What if for this moment, you allowed yourself a different thought, different action or just the opportunity to look at life outside of your norm? What if for this moment, you took a step into the unknown of life, using all the power of the fear you had to propel yourself forward? What if you let go in life of all that you held dear to truly find who you were and your place on this journey? What if you told yourself that you had enough of what you were going through and you just released all of it to the universe? What if you gave up the energy that you may be holding around an event even though it could be one of the hardest things for you to do? What if you just let go of that which you are holding and see how it could change life? What if you identified that which no longer serves you in your life and then took steps to release it into the wind? 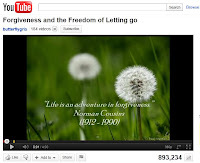 I recently found this video on forgiveness and letting go and just had to share it on this blog. Like many people in this world, I have struggled with forgiveness. What I was taught that forgiveness was and what it actually is, are two different things. For me, it was all about letting the abuser or offender off the hook and acting as if it never happened. There is a very good reason why we are taught as children to do this especially in our family units. If the parents feel guilty, than the best way for them to get rid of the guilt is to get you to act as if it didn't happen. The subtle difference here in what forgiveness is truly about and what happens in many families is profound. On KevinMD.com, there was an excellent article on clinical errors. While I realize this was written more for the medical community, it applies to healing and alternative practices. I'll let you read the full article but I'm just going to highlight a few that stuck out to me as I was reading it. The following is my own take and perception on these items. They are not meant to be aligned with the article on KevinMD.com that I reference. 1) The Placebo is just as powerful as modern medicine. While many pharmaceutical companies do not highlight the effect of placebos, they often heal just as well as the medication or treatment. 2) Many diseases do not all of the sudden show up. There is a progression over time. They are gradual. Identifying what is going on in the person's life prior to the symptoms appearing is critical. Learning how to help the client change their life is more likely to offer long term healing, rather than a quick fix. One thing I find very peculiar about humans is how we think we know what is best for others and we determine it is our life's purpose to strongly let them know. It is as if we have determined that the only thing which matters in life is to make sure they know what we think is right for their life. Perhaps, no one even realizes just how prevalent this is and how willing of a participant we are in this scheme. Please understand that I am not lightly suggesting an alternative to someone. The other day I was taking a class and we were sharing as a group a little about our self. Each person was asked to share something personal that we would not normally share. It was designed to give of our self in a trusting manner. The goal was for us to be real, and help others to see an authentic side of our life that maybe they could identify and learn from. Needless to say, it was not all that easy to do and with the group being strangers, there were much needed boundaries in place. Yet, through the exercise, we all grew pretty close together in a very short time. Unfortunately, in this exercise, there were people that felt it was necessary to make sure those that were sharing, knew what it was that they needed to do in order to better their life. Some of the participants were not timid in telling them what they should do and what they should not do regarding various situations. Some were forcefully telling other participants, don't do this or don't do that. To be very honest, it really began taking away from the moment. One of the things that is the hardest for me in life and that it seems like I need to continue to learn over and over again is facing fears. Learning to overcome fears by facing them is like asking a brick wall to get up and move. I know I am not the only one that struggles with this in life. In the days when I was suffering from anxiety attacks, I kept getting told that I needed to face my fears. When you do that, the power of them is taken away. However, when life is nothing but one big fear, it feels like you will surely die if you do this. It took me a long time to begin to understand what facing fears was all about and how to go about it. The more we learn to do this, the more we find freedom in life. I was happy to find this mind body wellness tip by Dr. Nima about this very subject. He talked on this page about how he tells his clients to face their fears. One day it dawned on him that maybe he needed to practice what he preached to his clients. The following video is about that experience and showing how he went into his fears. Relaxation Or Stress - Your Choice! While we can have relaxation without release, it is often limited. The more you can release and let go, the deeper the relaxation will be. Imagine a container full of water that is almost full. Imagine that the water in the container represents stress in your life and the container is your body and mind. Now, try to add another container full of water and see what happens. Most likely you will see the water overflow as the original container can only hold so much. However, if you take water out of container, than you can add much more into it. Our body is the same way. We heap stress upon it every day hoping that somehow, it will just absorb it. The thing is, we are usually numb to what is going on around us and in our life, so we don't even really sense or connect to all the trauma we put our body through in a day. We just keep doing it minute after minute, day after day, with absolutely no rest in sight. At some point during the year, we take a one or two week vacation, maybe even throw a massage in there and claim we've done a lot for our self. Then, we head back to work and push our body every single day for the next year! Body language often says more than our words say to others around us. One of the things that I got from all the years of abuse I went through, was the ability to read body language without thinking much about it. Often, I can see much more in what someone is really saying, rather than just the words they are speaking. Years ago, I remember telling employees that worked under me to not lie because if they did, I would figure it out. I pick up on very subtle clues in people and when I see their body language in addition to hearing the words, I can tell almost instantly that they are lying. I have see Judge Judy do this on TV as well where she can tell in an instant if someone is lying or not. My friends get shocked at me because sometimes if I am watching someone being interviewed on TV, I'll shout, "they're lying" without thinking what I am saying. Body language goes further than this though in really shedding light as to what a person is thinking as they speak. Sometimes people just don't have confidence in the words they speak and that really shows or they might not believe what they are saying but they are trying to be convincing. Sometimes people hide from the real truth inside and not necessarily intentionally, but their body language and their words don't match up. While I didn't know Steve Jobs personally, I have used his products that have changed my life. Yet, that seems so simple to state because the products that he helped foster in his team had a vision that was years ahead of its time. I am at a loss for words as I mourn with the rest of the world, the passing of Steve Jobs on October 5, 2011. I know he struggled in the past few years with a disease that was more powerful than him. According to news reports, Steve Jobs took the time off and did all the things that he could do, but the disease he had claimed him as a victim. Walking into the Cassadaga bookstore, I was not planning on buying a book. However, when my eyes saw this book, it was as if it jumped out at me. Without looking at the book, I purchased it and brought it home to read. It wasn't long before I realized just how much this book impacted my life. It was a book that helped me to discover and realize some things about myself that I had kept hidden in my life. For some reason in this world, we chase rainbows, thinking that we are chasing something which truly exists in a physical way you can touch. We see the lights of the rainbow and fail to realize, that it is nothing more than a reflection. If you tried to touch it, you would not feel it. Yet, that's what we do in this world. To many of the so called healing things in this world don't amount to a hill of beans. It doesn't stop people from chasing them as if they did. 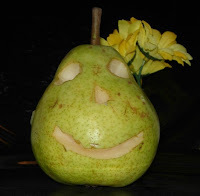 The medical establishment and all the way down to the new age folks or the every day folks with their old wives' tales, there is a lot of voo doo that is purported to be truth. If these things truly worked in the way that people said they did, there would not be any suffering or health problems in this world. Think about that for a minute! If all of these things were so great, than everyone would be healed. Most of these things cannot be quantified or tested because if they did, their defense would not hold water. I do realize that some people claim to have been healed by these things but in all reality, I surmise that what healed these people, isn't what everyone thinks healed them. Try to convince them of that and it is like expecting water to flow up a hill on its own. I have been on a long journey to see my pulse go from around 99 beats per minute down to the low 60's which is more normal and healthy. For a long time, 99 was my low and 60 bpm was just a dream. Lately, as part of my Pulse Rate Healthy project, I have been recording my pulse rate. Last night, when I measured it with my pulse meter, I found that it was only 65. Usually at night just before I go to bed, that is one of the most difficult times for me. At this point of the day, my pulse is generally not low and most of the time around 80 or higher. I was ecstatic when I saw that my post was at 65 going to bed. Generally I would have to sleep peacefully for eight hours to get to this point. It felt good and wonderful just to know that I was finally lowering my high resting pulse rate. In fact, I could actually feel the sense of peacefulness and calmness in my body as I went to sleep. Note: I was contacted by Jackie Clark about an Infographic that she created in regards to alternative therapy for cancer. It was well done and I felt like it truly fit up here on this blog. The following article is written by her and I hope it is very helpful to all that read it. By Jackie Clark - The effects of mesothelioma and other kinds of cancers can be very painful and debilitating for patients. Traditional cancer treatments can unfortunately be just as harsh thanks to side effects such as muscle weakness, fatigue, nausea and difficulty sleeping. It is for this reason that more and more doctors are recommending alternative treatments such as Reiki and acupuncture to help cancer patients relieve some of their symptoms. These treatments are by no means meant to be a cure for mesothelioma or any other type of cancer, but by relieving some of the symptoms of the disease and its treatments they can improve a patient's quality of life. This is known as palliative therapy, and it can really make a big difference in the recovery of a cancer survivor. Here is another article that I published on Street Articles.com about my experiences with a high resting pulse rate. It was a struggle that took me through many difficult moments and yielded some tremendous healing. While I still struggle with these moments from time to time, I do know that I can have a great impact on a high resting pulse rate. Our body is so powerful and if we tap into the power, there is much we can do. It isn't just a pie in the sky type of thinking as I know first hand, just how real the words are that I write on this subject.